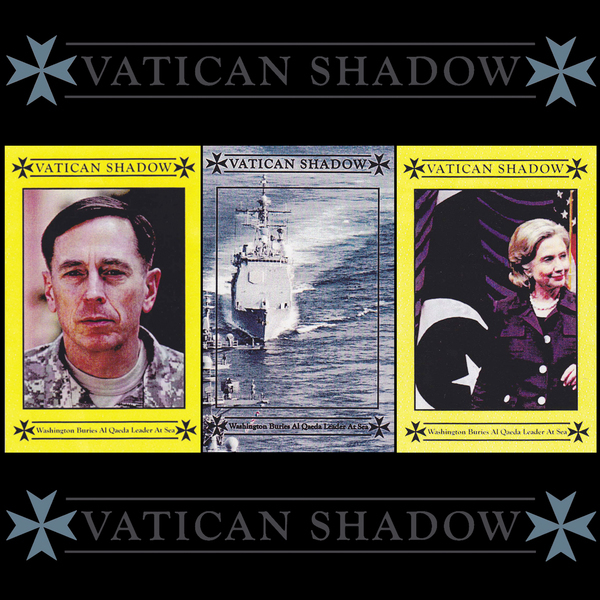 Dominik Fernow (Prurient) presents three of his most recent Vatican Shadow cassettes in one digital collection. On 'Washington Buries Al Qaeda Leader At Sea Deck 1-3' the music feels even more mournful, dubbed-out and somehow sleeker than it's predecessor 'Byzantine Private CIA', with more space and definition given to his sounds and rhythm programming, brilliantly sustaining the feeling of impending terror in a more subtle manner than he's most known for. And while they never quite fall into 'floor gratifying syncopation, there's also a dryly keener, stern sense of funk shared with the likes of his fellow New Yorker, Traversable Wormhole, that could work on certain 'floors. Highlights of this batch have to be the steam-pressed dub darkness of 'Bin Laden's Corpse', the richly bass-layered, steppin' Techno of 'Supplying The Compound With Food And Medicine' or the chilling, etheric vapours of 'He Ambled Down The Dirt Road For Visits To A Market', but simply the whole package is just a genuine must-have for any lovers of darkside electronics. Highly recommended.